Tecumseh, Ontario is a town of approximately 23,000, located in Essex County, in the southwestern part of the province, on Lake St. Clair. Originally known as Ryegate, the area was first settled by descendants of French immigrants. The Town became an important railway depot and stopover for travelers with the creation of the Tecumseh Road in 1838 and the establishment of the Great Western Railway in the early 1850s. In 1912, Ryegate was renamed Tecumseh in honor of Tecumseh, a Shawnee warrior who was killed in the War of 1812. In 1999, as part of a reorganization of Essex County, the Town of Tecumseh was created by amalgamating the former Village of St. Clair Beach, Tecumseh, and the former Township of Sandwich South. In addition, Tecumseh has worked with its federal and provincial partners on different transportation projects that help residents and products get to and from the border—and throughout Essex County—safely and efficiently. The Town has been the recipient of more than $200 million in transportation improvements to local and international network connections. In addition, the provincial government just spent $1.4 billion for a brand new link to the U.S., the Rt. Hon. Herb Gray Parkway, and a new international crossing, the Gordie Howe International Bridge, is anticipated to begin construction in 2018. There are two significant employment areas within the Town – the Oldcastle and Sylvestre Business Parks. The Oldcastle Business Park is a major regional employment center, containing over 350 industrial establishments, located in the southwest portion of the Town adjacent the City of Windsor and is one of the Essex-Windsor region’s most significant areas for manufacturing. The Sylvestre Business Park is located in the northerly settlement area of the Town and possesses a mix of approximately 40 industrial and commercial establishments. McNamara believes that the influx of newcomers is largely attributable to the high level of services provided to the community, as reflected by the 99 percent of Tecumseh residents who said in a recent survey that they were satisfied with municipal services. “That is unprecedented,” he declares, proudly. “We’re moving in the right direction in making this community very, very sustainable and desirable. It’s good governance and good management. 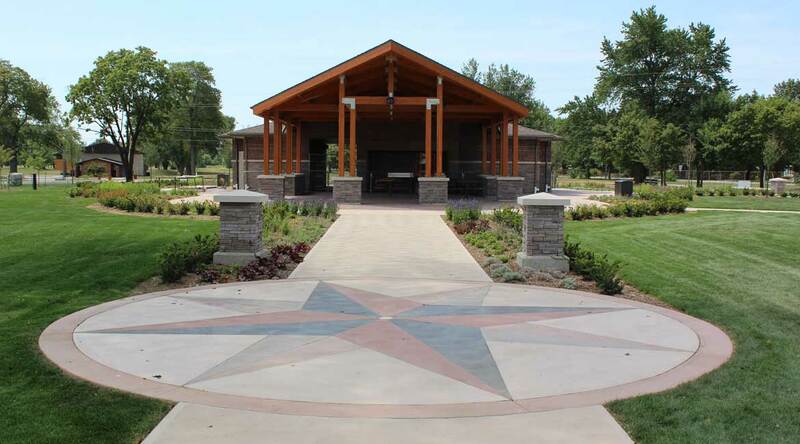 And we’re continuously trying to find new and better ways to serve, because we believe there is still room for improvement.” In addition to low water and tax rates, Tecumseh provides its residents with parks, trails, and open spaces. The Town is focusing on implementing smart growth initiatives such as their Tecumseh Road Main Street Community Improvement Plan (CIP), which will affect the 1.2 kilometer, commercial “downtown” corridor. The CIP establishes a community-developed vision for an area that comprises 96 acres with a mix of approximately 115 commercial and residential properties, as well as underutilized land. To help achieve this vision, the CIP provides for a range of financial incentive programs to registered owners and tenants of land and buildings within the CIP Area. The Town is currently preparing a Streetscape Plan and Detail Design for the Tecumseh CIP which will guide the implementation of complete street improvements, including: hard landscape elements and design specifications (e.g. paving types, concrete); sidewalk improvements and the introduction of curb extensions (bulb-outs); street furnishing and design specifications (lighting types/locations, benches, garbage receptacles); road reconstruction and replacement/upgrading of underground municipal infrastructure; and soft landscaping elements and design specifications (e.g. plant/tree types and locations). So far, $775,000 has been committed toward the design of this $24.2 million project. 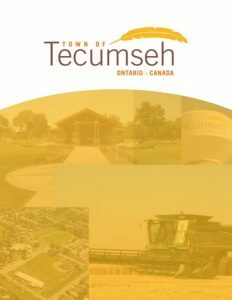 Tecumseh also has a combined 23 kilometers of trails and dedicated bike lanes, and over the past few years the Town has committed $200,000 in trail construction with additional trail projects identified for 2017. “We’re committed to an active transportation network across our community where we’re encouraging our residents to adopt a healthy lifestyle,” says McNamara. “We are aggressively trying to connect all of our park systems to our neighbors, and we’ve got two major projects on the go. There is a network of trails that run parallel to the new parkway, and we’re connecting to another 60 kilometers worth of trails that begin in our community with access to several municipalities in Essex County. So there’s continuing work.” The Town is a five-time recipient of the Gord Smith Healthy Workplace and Bike Friendly Workplace awarded by the Windsor-Essex Health Unit. These awards are for its initiatives with Town staff and its dedication to promoting a healthy workplace and lifestyle. Tecumseh prides itself on being a healthy, livable town, with a commitment to sustainable, planned development and an appropriate range and mix of residential, industrial, institutional, and recreational amenities that meet the current and long-term needs of its residents. It is truly the jewel of Essex County.